Pinery Provincial Park is located in Grand Bend, Ontario along the shore of Lake Huron. The park features 10 kilometres of sand beaches including rare coastal dune ecosystems supporting a variety of plant and bird species. Visitors to the park can enjoy year round recreational activities including camping, fishing hiking trails, biking trails and ski trails. 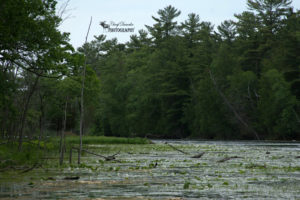 If you enjoy spending time out on the water you can always rent a canoe, paddleboat or kayak and explore the Old Ausable Channel which has been designated as a provincially significant wetland. 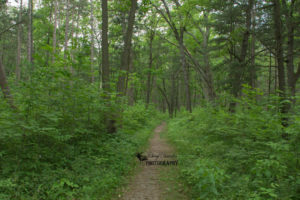 During my visit to Pinery Provincial Park I headed towards the northeast end of the park boundary and parked my car at the Wilderness Trail entrance. I got my camera out of my backpack and sprayed myself all over with bug spray before entering the forest. 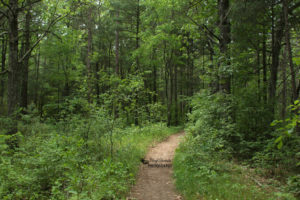 The trail was well maintained, easy to navigate and clearly marked. After finishing the trail I realized that the road I had come in on was a one way so I had to go around to get back to the other trails I wanted to explore. 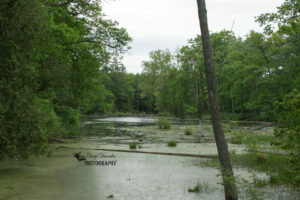 As I drove along the roadway I saw a sign for the Heritage Trail and decided I would check it out since I was hoping to complete as many trails as I could. 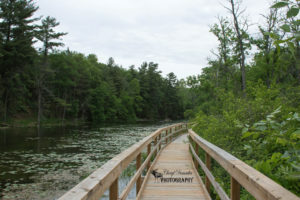 The Heritage Trail takes you towards the Old Ausable Channel and there is a lookout with a dock leading down to the water. 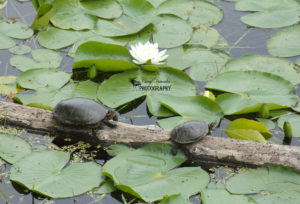 It was while I was enjoying the view from the lookout that I spotted a couple of painted turtles sunning themselves on an exposed log. 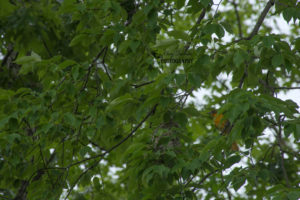 I also noticed out of the corner of my eye a female and male Baltimore Oriole taking turns bringing food to a next hanging from a tree branch above my head. After I finally made the loop back around the one way road I finally reached the remaining three trails that I had hoped to explore. 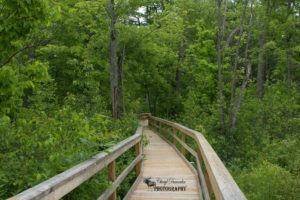 I started out at the Riverside Trail which was by far my favourite one of the whole trip because it had a beautiful boardwalk which took you right alongside the channel. 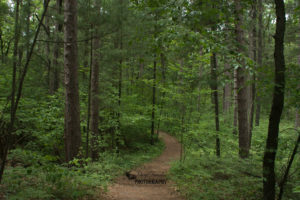 The last two trails that I undertook were right across the roadway from each other – Hickory Trail and Bittersweet Trail which were also very nice. As I put away my camera back into my backpack I took a minute to drink some water and check my map so I could head back out towards the entrance to head home. I was making my way back when I noticed what I thought at first was a wild turkey at the side of the road. 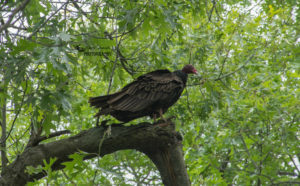 But as I approached it flew up into a tree and I realized it was actually a Turkey Vulture. So I pulled my car over away from the road, got out my camera and began walking towards where I saw it fly up into the tree. I was able to take some photos of it and after I was happy with the what I had captured I turned around and headed back to my car to make my way back home. 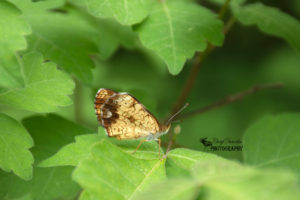 Overall my trip to Pinery Provincial Park was an enjoyable and memorable visit. 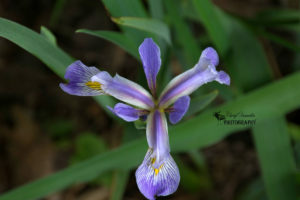 Below are the pictures I took during my visit to the provincial park. 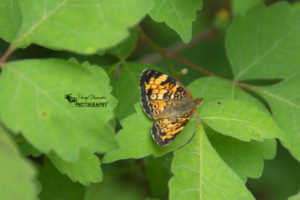 This entry was posted in Hiking Trails, Nature Photography, Provincial Park, Wildlife Photography and tagged animal, birds, boardwalk, butterfly, Camera, Canada, flowers, hike, hiking, nature, nature photography, Nikon, Nikon D7200, ontario, outdoors, outside, park, Photo, Photography, Pinery Provincial Park, Provincial Park, trail, trails, turkey vulture, turtle, water, wildlife, wildlife photography.